After a stellar 5-0 victory in quarterfinals, Irene found herself in a more challenging position against the Brazilian boxer Beatriz Ferreira. Unfortunately, Irene lost a 5-0 decision of the judges against the current #10 lightweight in the world. Despite her defeat today, Irene brings home a bronze medal from the AMBC Pan Am Games Qualifiers. 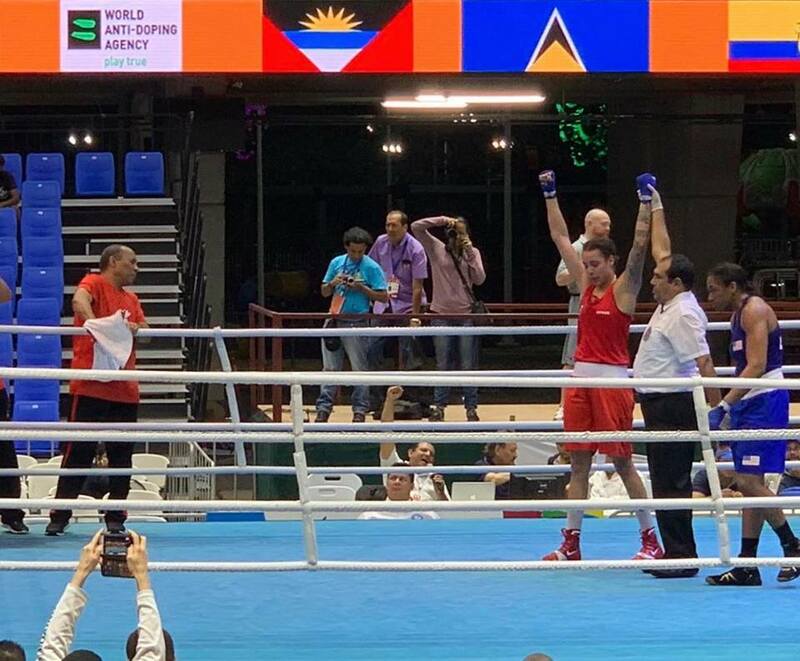 After a great quarterfinal performance, Tammara continued to impose her dominance in the competition as she opposed Noami Graham (USA), who had finished 4th at the 2018 AIBA Women’s World Championships. In this semifinal duel, Tammara’s composure and height advance proved valuable and she won by a unanimous decision of the judges against the American boxer. Fighting for gold, Tammara will now face Colombian boxer Jessica Caicedo in the final of the middleweight category. Finals are scheduled for April 10, make sure to tune in as she will attempt to continue her winning strike and bring back the gold medal. Sabrina Aubin is the 3rd Canadian who has advanced to the semifinal round. She will be back in action tonight (April 9) against Leonela Sanchez from Argentina in the hopes of joining Tammara in the final round of the tournament. For all information regarding the competition (schedule, results, draw sheets, etc), consult Boxing Canada’s event webpage throughout the tournament.